Good News! Baby Diamond (pictured above) and her Mama were rescued from the auction by our friends at Hidden Valley Wild Horse Protection Fund. The pair has found an adopter. “Thank you to everyone who protested, networked and donated to help save the 41 Virginia Range wild horses from probable slaughter,” said Anne Novak, executive director of California-based Protect Mustangs. “It goes to show the love and respect that not only Nevadans have for the Virginia Range horses, but also the people across the country and around the world who contributed money needed to purchase these horses back from the state of Nevada,” said Shannon Windle, director of the Hidden Valley Wild Horse Protection Fund. Members of the public around the world are encouraged to contact Governor Sandoval and tell him you don’t want native wild horses sold at auctions where kill buyers shop. Ask him to give the horses to local advocacy groups rather than sell them into the slaughter pipeline. Tweet ©GOVSandoval Use #NEVADA to let the Governor know you want them protected! The public around the world is outraged at the photos showing cruelty toward young native wild horses. We want Governor Sandoval to stop allowing the Nevada Department of Agriculture to let citizens cruelly trap wild horses. 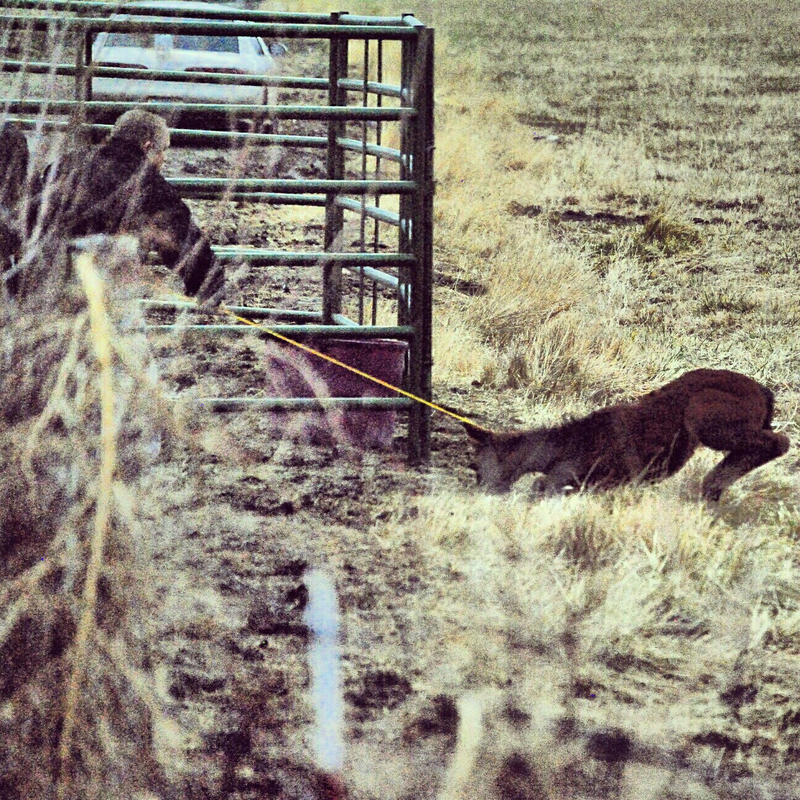 The baby horse was manhandled–the men put twine around her neck and inhumanely pulled her into the trap. Next the Nevada Department of Agriculture processes the wild horses and sells them at an auction where kill buyers shop for horses to sell to slaughter. This is heinous! Hidden Valley Wild Horse Protection Fund has been buying all the Virginia Range wild horses at the auction. They are saving them (125+) but they are a small volunteer nonprofit and can’t afford to do this anymore unless you help them to help the wild horses in this crisis. What’s the long term answer? Cooperative agreements with Nevada and local advocate groups such as Hidden Valley to help those wild horses labelled a nuisance by developers because urban sprawl has encroached on the mustangs’ wild lands. Nevada is a fence out state. Developers, such as the one who hired the men in the photo to catch wild horses, should fence out their property if they don’t want wildlife on their land. Native wild horses should never be treated this way. Nevada needs to stop this condoned cruelty now. “The foal was three weeks old, an the developers DiLoreto and Damonte are responsible for this also. They have allowed an continue to allow Nevada Department of Agriculture to trap horses on their properties. I have photos of them there at the trap an heard Mr Damonte say he didn’t care for the horses, an wanted them all gone. Tom DiLorreto said he followed states guide lines to the tee. But as you can see, the state must have changed its policy of handling animals humanly to do what you have to, to get rid of it an get the money from the kill buyers as fast as you can. Thank you for taking action to save Nevada’s wild horses from cruelty and probable slaughter.